With duck season underway, our weekends are filled with early, chilly mornings, decoy spreads and (hopefully) a limit of ducks. And before and after those hunts? Hungry hunters. The camp kitchen is flooded with camouflaged figures, cold hands and empty bellies. 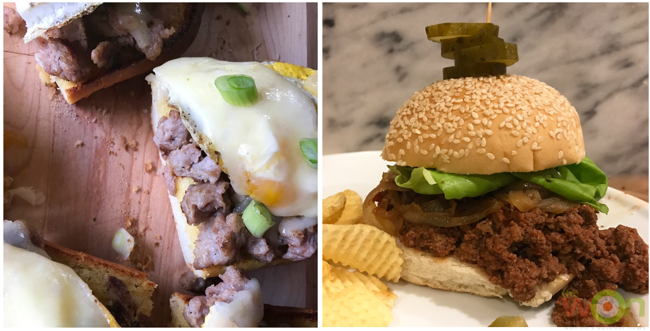 Here are two great recipes to keep you and your fellow duck hunters fed with your spoils from deer season: a flavorful breakfast and dinner using that delicious venison in your freezer. 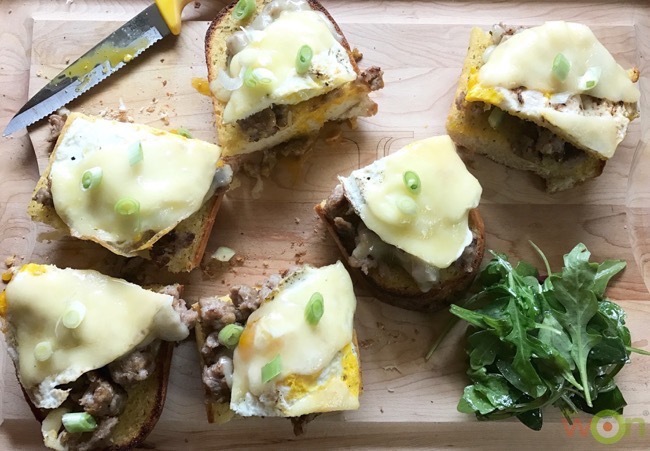 First on the menu is an easy and filling open-faced venison sausage breakfast sandwich. It’s a mouthful, but you won’t regret making them. 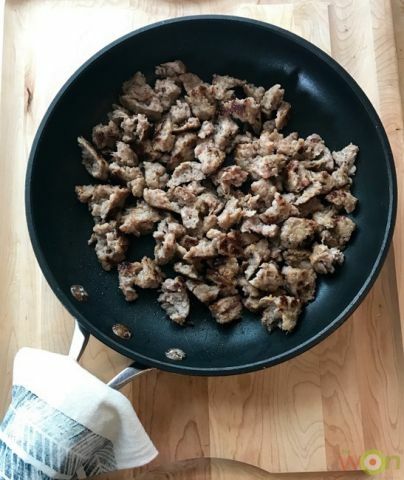 In a large skillet, brown the venison sausage over medium heat until it is almost cooked through. While you are cooking the sausage, toss the garlic bread in the oven and cook according to the package instructions. Take it out a couple of minutes early, since it will be going back in after you assemble the sandwiches. After the sausage has cooked, remove it from the pan and set aside. Cook the eggs in the same skillet, without draining it. I typically use fried eggs over easy, but it would be just as delicious with scrambled or poached eggs. Depending on their size, I typically can fit 3 fried eggs on each half of the bread; you might need to adjust the amount of eggs if you’re scrambling them. Like the garlic bread, remember not to cook the eggs as thoroughly as you otherwise might. They’ll finish off in the oven. Place the garlic bread on a baking sheet. Spoon a layer of sausage across each piece, then layer on the eggs and cheese. Bake at 350° for about 10 minutes, or until the cheese is melted and bubbly. Top open-faced sandwiches with sliced green onions just before serving. I also like to add an arugula and spinach mix, dressed lightly with olive oil, lemon juice, salt and pepper. It might sound odd to have a “salad” on a breakfast sandwich, but the fresh greens and tart lemon juice really brighten the flavors. Depending on how hungry the hunters are, plan on serving one or two sandwiches per hunter. These sandwiches are pretty filling, and you will likely have satisfied everyone’s bellies through lunch. On the menu for dinner? A grown-up, venison version of the classic sloppy joe that cooks all day in the slow cooker. 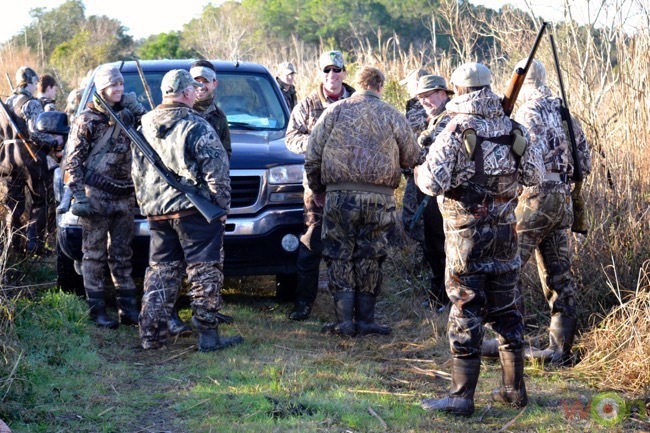 Once you do the prep work, you can get back in the duck blind or head to the deer stand, and not have to worry about it again until suppertime. 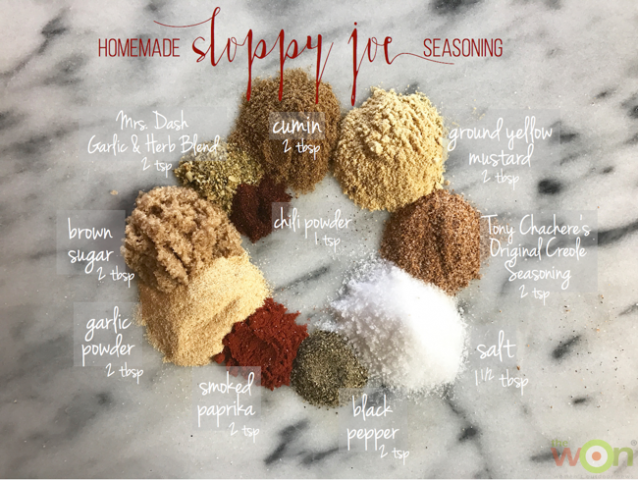 I like to make my own seasoning mix for sloppy joes, from spices I always have on hand. I make more than I need for a single meal, since the mixture stays good in a jar for up to 6 months. For these sloppy joes, I don’t typically brown my venison before putting it in the slow cooker. I have no real reason for doing it that way, but it eliminates a step. 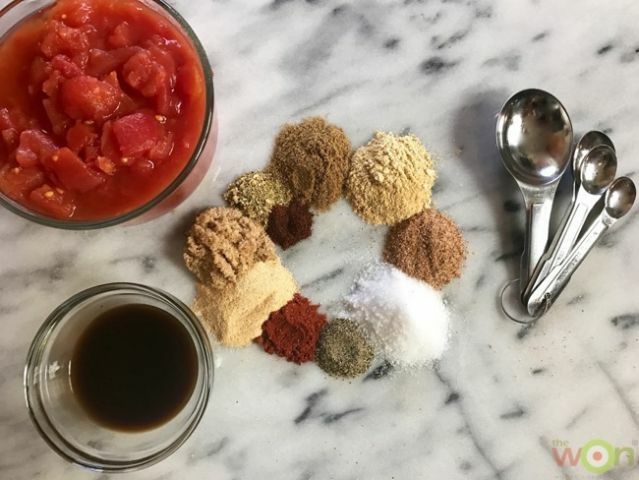 With the slow cooker set on low, add the venison, followed by two heaping tablespoons of the seasoning mix, Worcestershire sauce, canned tomatoes, tomato paste, and my somewhat “secret” ingredient—3 or 4 big tablespoons of mild salsa. If you like things spicier, feel free to use a medium or hot salsa, as they will both add great flavor. Stir well to combine, put the lid on, and walk away. I cook the meat on low for about 6 hours, or on high for close to 4, giving it a good stir once or twice as it cooks. You might need to skim off some of the liquid as well, depending on how much has rendered. In a separate skillet, heat up some olive oil and add the sliced onions. As the onions sauté, add a tablespoon or so of butter and stir as it melts so all the onions are coated. Sprinkle with a pinch of salt, and continue to sauté until the onions have turned a golden brown. Remove them from the skillet and set aside until it’s time to serve. 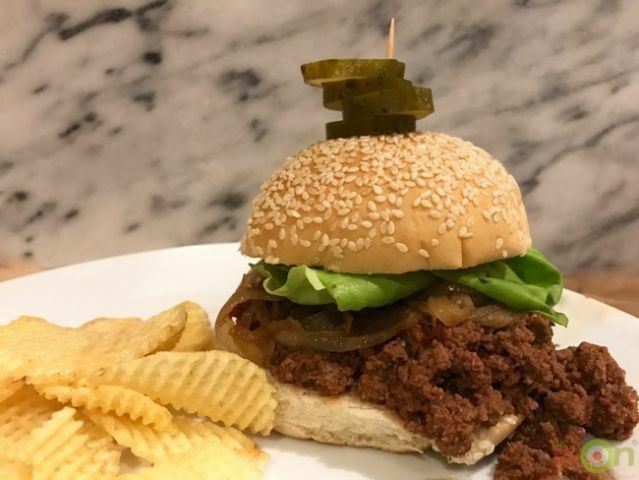 When it is time to eat, fill each sesame bun with a few scoops of the venison mix, and then top with a piece of Bibb lettuce and some of the caramelized onions. Serve with chips or fries and some homemade pickles, and I can promise those hungry hunters will be satisfied once again. That is, until the next hunt. What are your favorite recipes for hungry hunters?